The above inscription is set into the north wall of the small garden area beside the Church of St Michael at the Northgate in Cornmarket. Herbert Quinton was the architect who designed the shop built at No. 29 next door in 1904. 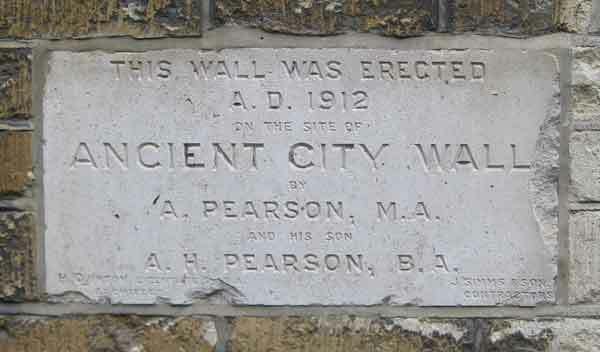 Arthur Pearson was the owner of Boswell’s and rebuilt 31 Cornmarket in 1912, the same year this plaque was erected.